Methane is the source of the gas we burn in stoves. You can also use it to make plastics, antifreeze or fertilizer. It comes out of underground deposits, but it also seeps up from swamps, landfills, even the stomachs of cows. And while methane is valuable, a lot of it gets up into the atmosphere, where it becomes a very damaging greenhouse gas. Scientists have been trying to find out, with varying success, exactly how much of this climate-warming gas gets into the atmosphere. A study published in this week's issue of the Proceedings of the National Academy of Sciences, suggests there's much more up there than previously thought. "Our numbers for the entire United States are about a factor of 1.5 times larger than the [estimates of] the U.S. Environmental Protection Agency," says the study's co-author Scot Miller, a doctoral student in earth sciences at Harvard University. That's a serious discrepancy, Miller says, considering the hundreds of millions of tons of a very potent greenhouse gas going up every year. And in the atmosphere over some regions — Texas, Kansas and Oklahoma — the study found more than 2.5 times the methane that the EPA and other groups have measured. Miller says he's not that surprised at these higher numbers. "It's a really, really difficult problem to try and estimate greenhouse gas emissions," he says. Traditionally, the EPA has made its estimates using a mostly "bottom-up" approach — plugging into a computer model, for example, the estimated individual outputs from all the nation's gas drilling sites, swamps, refineries and herds of cattle that belch and otherwise excrete the gas as a normal part of digestion. The new study — a collaboration of scientists from universities, the U.S. government and Europe — instead took almost 13,000 measurements directly from the atmosphere in 2007 and 2008. They collected their measurements from cell towers as tall as the Empire State Building, as well as from airplanes. These "top-down" measurements directly checked the actual methane content of the air, and found that what's airborne is more than the sum of the ground measurements, Miller says. Still, he says, the top-down approach has its weaknesses, too. For example, you can't as easily deconstruct the total to see how much came from a particular well site versus an individual feedlot. Environmental scientist Rob Jackson, with Duke University, says bottom-up measurements usually turn up lower numbers for methane leakage than measurements taken in the air do, and that's been a problem for people trying to get a handle on emissions from the natural gas boom in the U.S.
"I think bottom-up measurements are lower because we miss the few percent of sites that are really leaking a lot of gases," Jackson says. "We probably have 90 percent of oil and gas operations that are pretty clean, and a few percent that leak like a sieve." And those few aren't necessarily easy to find when you are talking about tens of thousands of sites across a nation. "It's like trying to find that needle in the haystack," Jackson says. "The needle's there, but you've got to do a lot of on-the-ground sampling to find that needle, and most times people don't do that." 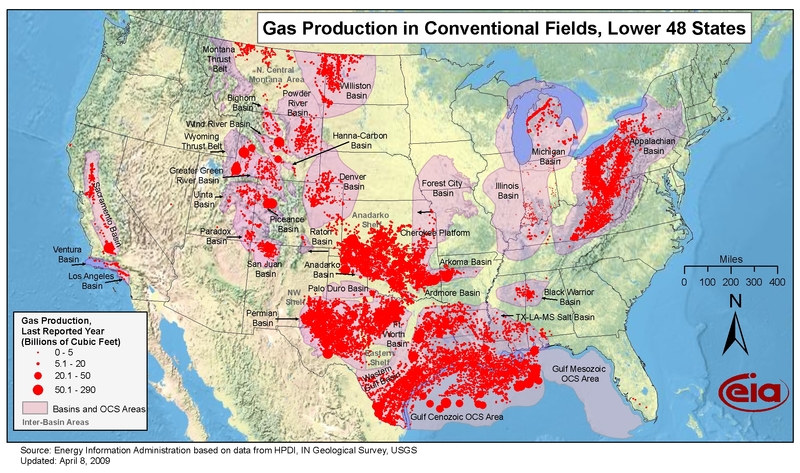 Jackson also says the higher emissions the PNAS study found in the south-central U.S. suggests that oil and gas operations there are emitting more methane than previously thought. Miller and Jackson both say it's important to get these numbers right. Some states already have — or are contemplating — limits on methane emissions from industry and agriculture. But if the EPA's estimates of what's going up into the air actually are off by half — as the new study suggests — it could make those limits meaningless.